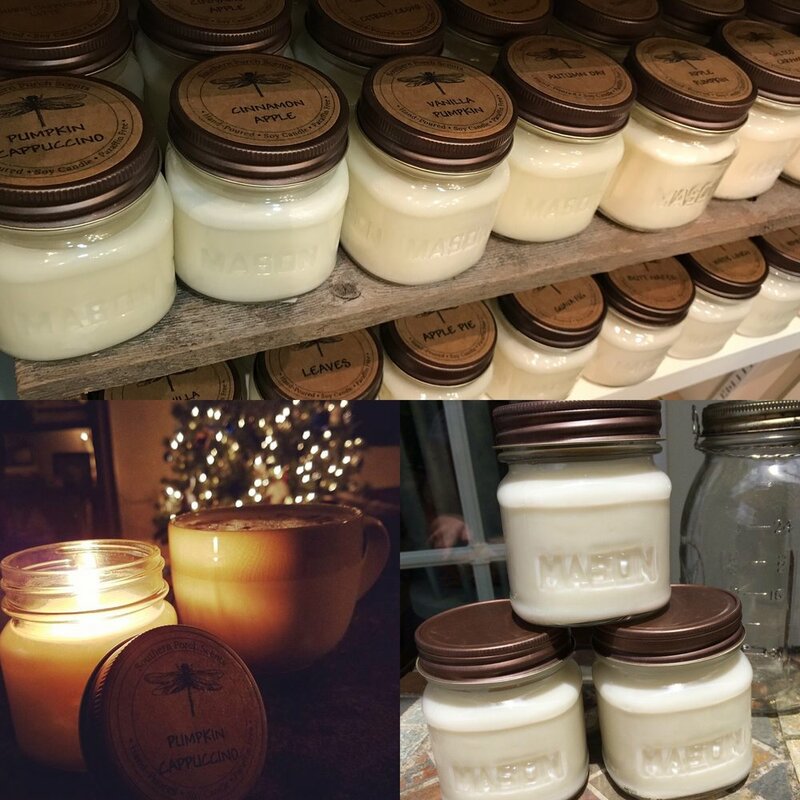 Created in 2012, We pour paraffin-free soy candles using carefully chosen fragrance oils for subtle to richly blended soy candles in containers reminiscent of the classic mason jar. Complementing our soy candles are soy melts, an easy way to enjoy our great scents without a flame. In 2017, we perfected our recipe for Shower Steamers with two favorites essential oil scents. These have become a favorite among locals and across the country as well. Our goal has been to create a budget, friendly candle that smells incredible! 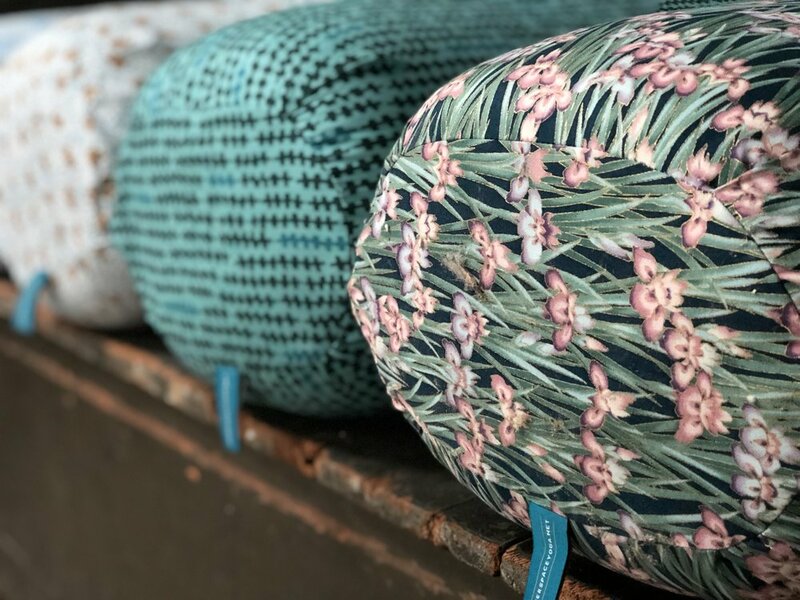 Inner Space Yoga designs and makes beautiful yoga bolsters, meditation cushions and other products. We make them in Knoxville, Tennessee and ship them all over the world. Inner Space Yoga designs, makes and sells bolsters, meditation cushions and other products. We make products for people who love high quality and beauty. We hand sew, hand roll, and heart sell our products. As the makers, we are also the users. We use these products every single day. Every part of our products are thought out ... from the label to the zipper. We consider everything so you don't have to. A high charging modern life benefits with periods of slowing down for rest and renewal. These beautiful products help you meet the challenges of everyday life. Bath and Body products - specializing in bath bombs and body scrubs. The Bath Lab was started in 2016. Over the past two years we have gone from making products just for friends and family to having an online store, multiple wholesale accounts, and selling at local markets. Our goal is to have a storefront in the Downtown Knoxville area by 2020. We love being able to make high quality and affordable bath and body products that are not only fun to use but also good for you and your body. We make everything in small batches to ensure top quality and we only use the best high quality ingredients in all of our products. 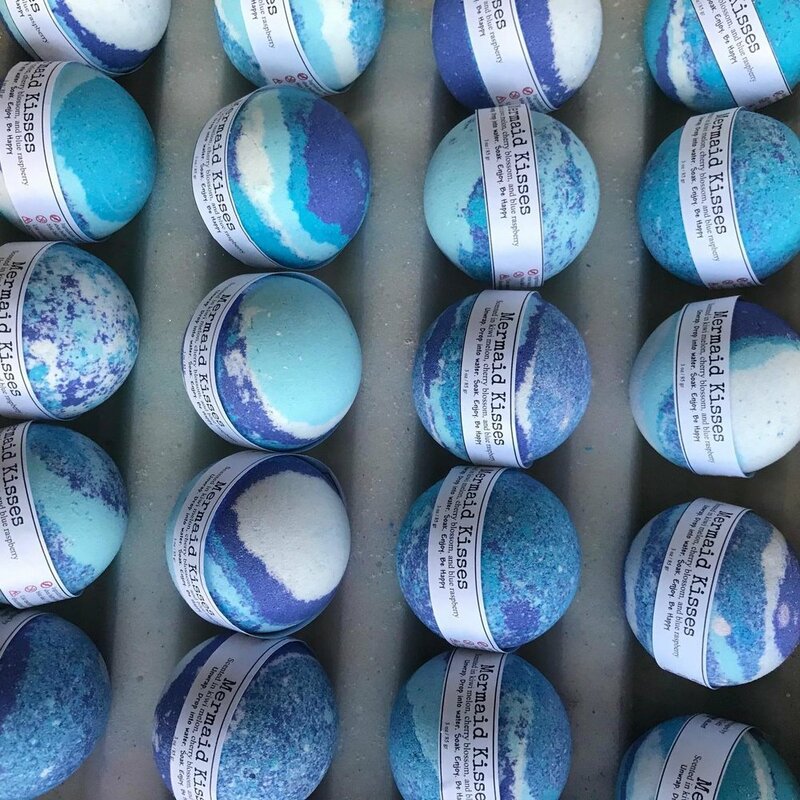 Tagged: making beautifully colored and highly scented bath bombs, body scrubs, candles, and more. Wildly Lavish Soap Studio was born in Knoxville, TN in 2014. We specialize in creating a really luxurious bath experience. We make all of our products using only the finest oils and butters. We don't use any harsh chemicals or additives. Every batch is hand made and plant based for the most nourishing and lavish experience. We are a local company who specializes in natural skincare and natural topical medicine. We pride ourselves on educating our community on the importance of what we put on our skin as well as giving natural alternatives to everyday needs. 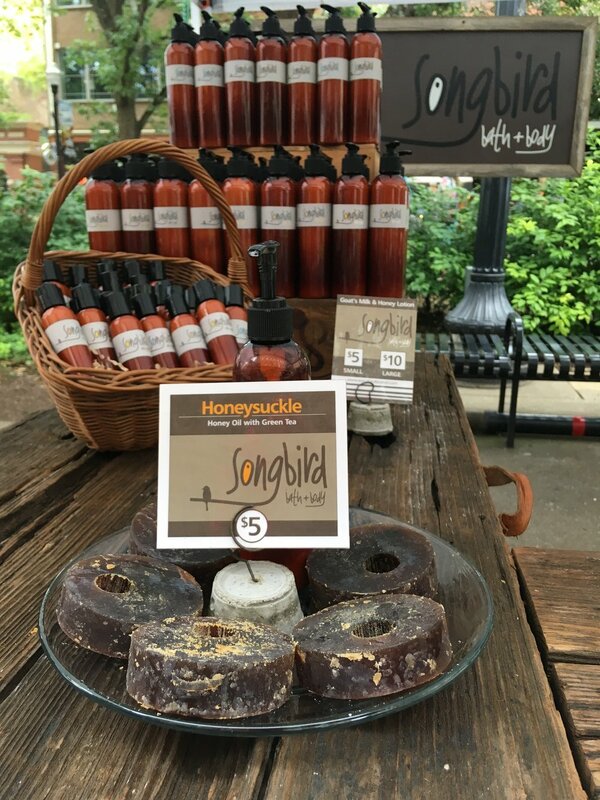 Songbird Bath & Body is a branch of Bird on the Wire Studios in Knoxville Tennessee. Sonbird produces an artisan soap handmade with all-natural essential oils, in-house infused vodkas, plant extracts, herbs, teas, and cured to perfection for your pleasure. The unique patented hole design was created to keep your soap dry; whether you hang it from your shower-caddy or from its ribbon, you can rest-assured that your soup will not become the soggy mess you are accustomed to with other handmade soaps. Our soap is gluten-free, paraben-free, and hypoallergenic. We take tremendous pride in providing you with a premium product that is designed to exceed your expectations. If you are not at all satisfied, we will refund your purchase. 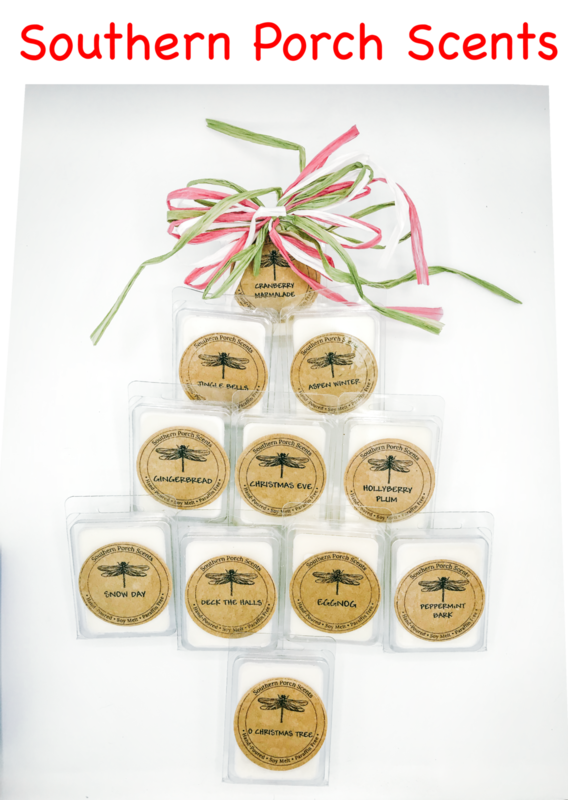 Tagged: All-natural, handcrafted soaps and lotions made perfectly imperfect just for you! I make small batches of high quality herbal products using strictly organic ingredients. I also lead DIY workshops & educational classes to show people how to incorporate herbs into their daily lives for health and improved wellbeing. I was given a bar of soap by a friend, fell in love with the feeling, asked how to make it and it morphed from there. 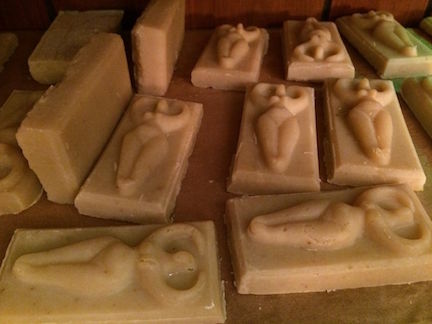 I make handmade soap, utilizing natural oils. I try to use essential oils when possible. I love to hear from past customers and how they loved our soap, such satisfaction. I make handcrafted cosmetics with natural waxes, essential oils, herbal extracts and paraben-free preservatives. I started making them in my basement in 2013 and now have a warehouse in west Knoxville where I manufacture and ship several thousand products a month. I'm a U.S. Army veteran and I also donate grooming products and cleansing products to veterans, homeless and anyone that needs it. My first product was my Omega Pain Spray in 2005. It was the result of seeing many friends ,and family get lost in pharmaceutical fog. I still have many customers from the beginning of my business, and they are the ones that have advertised my business. Products with a purpose. I am a full-time, self-employed craft artist who has been making corn shuck dolls since 1975. I am devoted to the creative process of craft, and especially the alchemy of transforming raw, natural materials into new forms. I dye the natural dried corn shucks by hand, then roll and tie them into doll figures. I embellish the dolls with a variety of natural materials, and repurposed objects. My dolls represent imaginative notions of folklore, legend, myth, healing modalities, shamanism and other earthly and celestial entities, as well as traditional Appalachian themes. I am also devoted to keeping corn shuck doll craft alive, and teach workshops and classes at schools, craft centers and at my studio. I am the author of "Making Colorful Corn Shuck Dolls,” a full-color, step-by-step instructional book on making corn shuck dolls, published in 2011. You can find my work at various craft galleries and shops in the southern Appalachian region. Gallery Hours: 10-6 Thursday - Saturday. Other days by appointment or when the "Open" sign is on! Free parking! We create Artisan crafted, goat milk, personal body care items with our herds farm fresh milk. We are the farmers and the Artists. Our methods are old school, cold process that starts with fresh, raw milk. We are completely in house with all production happening on the farm. We also are a Pick TN Agritourism and enjoy having visitors to the farm!